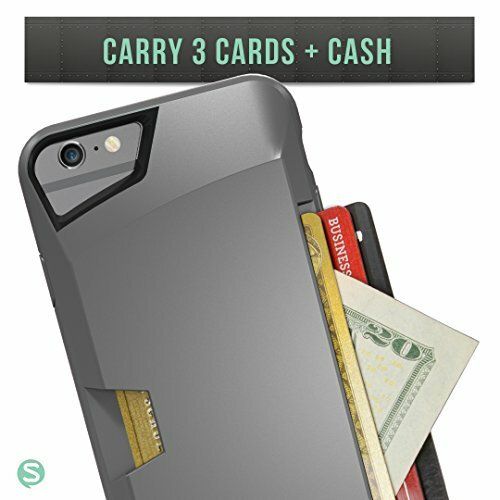 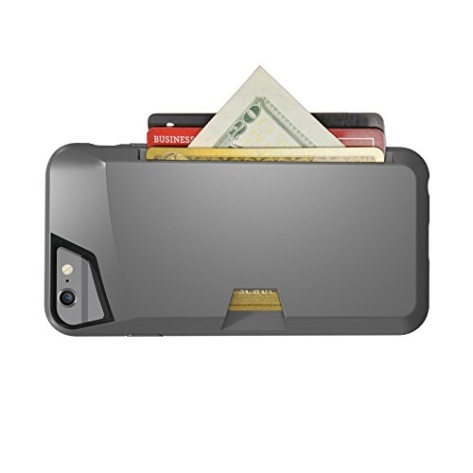 The Vault by Silk is an ultra slim wallet case for iPhone 6 (4.7") that comfortably fits 3 cards plus cash. 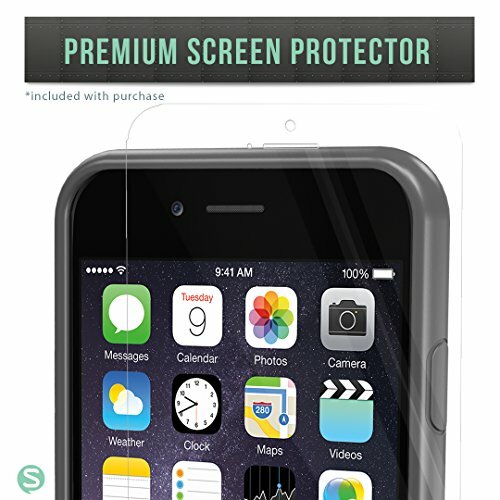 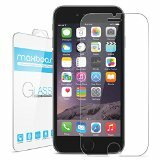 The durable soft-touch cover provides full-frame protection on all 4 corners to protect your phone from drops and dings. 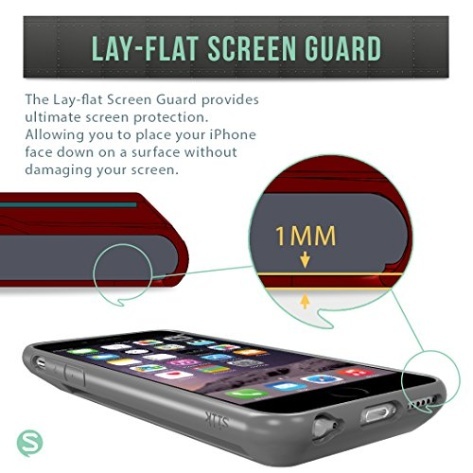 The soft-touch finish provides the perfect amount of grip and an ultra slim fit to slide in your pocket without sticking to the liner. 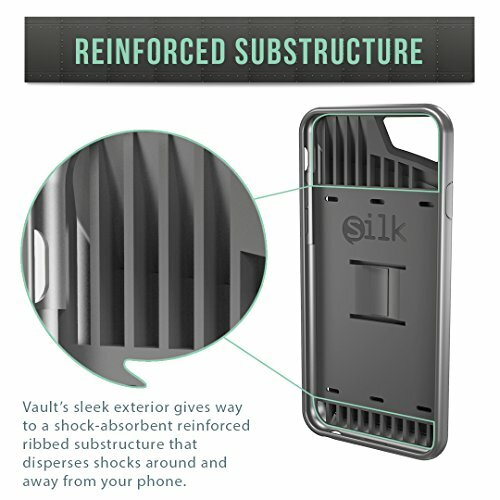 Vault's sleek exterior gives way to a shock-absorbent reinforced ribbed substructure that disperses shocks around and away from your phone. 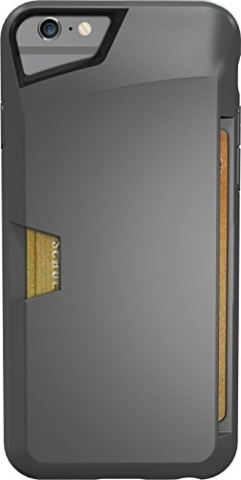 Natural-Throw buttons provide a tactile response from each click to maintain an organic connection with the phone. 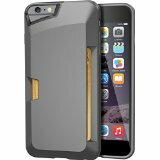 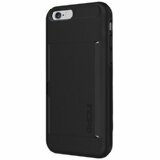 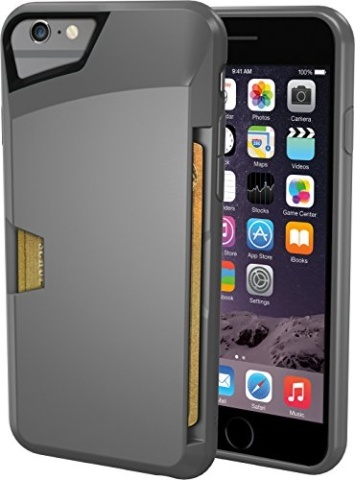 Vault case marries the essentials of a wallet to the form factor of your iPhone.